There are a few things you should know about storing and heating baby foods. Once you have pureed or otherwise prepared the foods, you can store them in the refrigerator and/or the freezer. It's important to know that once you’ve served your homemade baby food (or your meal for the entire family), there are a few other things to keep in mind when storing the leftovers. When Is It Safe to Store the Baby Food Puree? Avoid putting any hot foods directly into the refrigerator or freezer. Doing so could change the temperature of the surrounding foods and cause a fluctuation of temperature in the appliance itself. While this isn’t necessarily a far-reaching food safety issue, maintaining stored foods at a constant temperature will help stop bacterial growth (something that’s particularly important for baby foods because of a baby’s immature and fragile immune system, which makes them more susceptible to food poisoning and illness) and keep the foods fresh for a longer period of time. So when should you put the cooked foods into the fridge or freezer? A simple rule to remember is the “Two to Cool” rule. Freshly cooked foods should not be left to cool at room temperature for longer than two hours. If possible, place the foods into the fridge within an hour if they have cooled. Bacteria begin to grow best after foods have been left out for longer than two hours, and they grow even faster if the room itself is warm or the foods are left outside in the heat. Keep in mind that the foods don’t have to be cooled to the point where they are literally cold; cool, not hot, is the best way to store foods in the refrigerator no matter who will be eating the food. Where Should Purees and Meals Be Stored, and for How Long? It is entirely your choice as to how and where you store your cooked and prepared homemade baby foods. The method that you choose to use for food storage will depend on what you want to do with the foods and how you plan on feeding them to your baby. If you make a large batch of food, splitting up portions and storing some in the refrigerator and putting some into the freezer may be the best option. If you make small portions to last for just a few days, then the best thing to do is to keep the foods in the fridge. Always store homemade baby food in a BPA-free container that is tightly sealed. Store the container in the middle section of the refrigerator. This section of the fridge is colder than the top shelf. Homemade baby food purees should be stored in the refrigerator for no longer than three days. Never re-store any foods in containers that baby has directly been fed from or has eaten from in any way. Saliva can contaminate and breed bacteria. If you don’t think that your little one will eat a full portion, take out the amount you need and serve that. Cool foods prior to freezing. 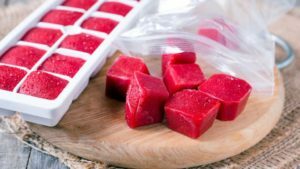 Freeze in individual portions to help make preparing small meals easier. Store purees in the back of the freezer to maintain a constant frozen state. Be aware that purees tend to form ice crystals due to the liquid rising and separating from the food. These ice crystals are not freezer burn. Do not thaw, warm, feed, and then refreeze baby foods. Frozen baby foods keep well for three to six months in the freezer. Best Containers to Use to Store Homemade Baby Food? If you’re storing your baby’s food in a plastic container, make sure it’s BPA-free. These containers are made without the industrial chemical bisphenol A, or BPA, which some studies have shown can seep into food and possibly cause negative health effects. Plastic containers that have the recycle codes 2, 4, and 5 are considered BPA-free. I use the Wean Green glass containers for baby food and for other food storage too. There are many other brands of glass baby food storage jars as well; pick the one that fits your budget and your color preferences! Refrigerator Real Estate: Location, Location, Location! Did you know there are specific areas in the refrigerator where certain foods should and shouldn’t go? Use the following tips to organize your fridge so that your foods will maintain the most nutrition and health benefits. 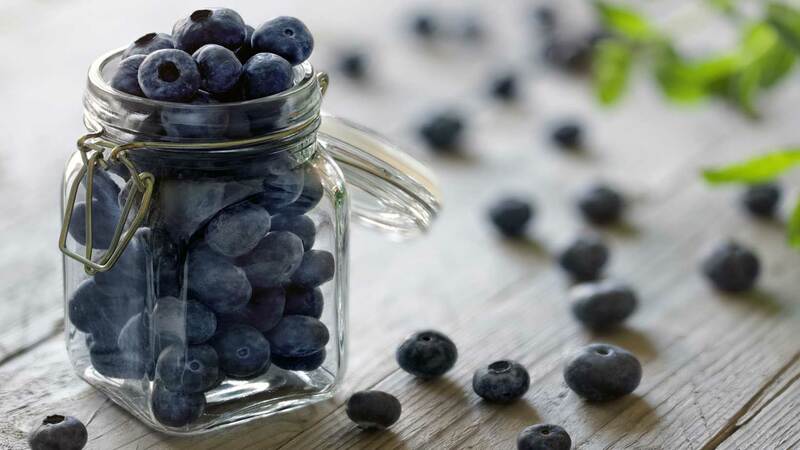 Top shelf: Foods that don’t really pose a health risk should be stored on the top shelf. The top shelf is the warmest area of the refrigerator, along with the doors. Jams and jellies, salsa, and canned drinks such as juices and seltzer waters are items that are good to store on the top shelf. Middle shelf: Use this for foods that should maintain their cool temperature and are a higher risk than “top shelf” foods. These foods include eggs, milk, cheese, and even deli meats. Bottom shelf: Always store fresh meats, poultry, and fish on the bottom shelf. When these foods are on the bottom shelf, the risk of their juices leaking and dripping down to contaminate other foods is minimized. The bottom shelf is also the coldest area of the fridge. Drawers: The drawers are for storing vegetables and fruits. Some refrigerators have a deli drawer as well where you can store deli meats and cheeses. Refrigerator doors: Store condiments and accompaniments on the doors, including ketchup, mustard, jams, jellies, and salad dressings. The doors are the warmest areas of the refrigerator.